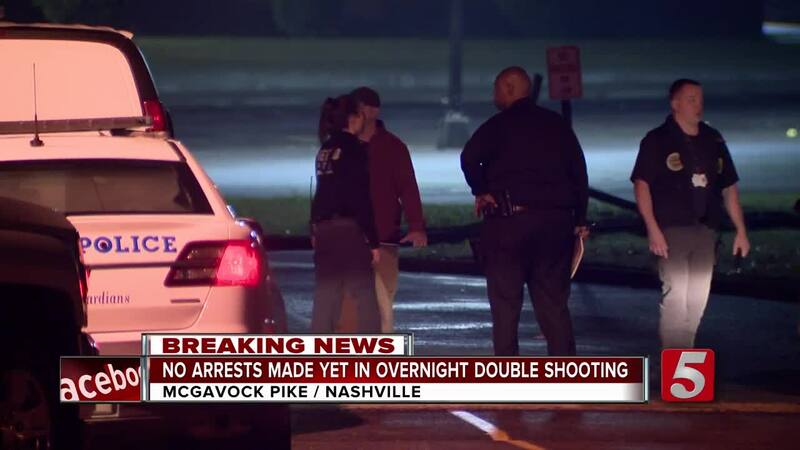 Metro Nashville police investigated a shooting that left one man dead and one man injured late Sunday night near McGavock High School. According to investigators, the shooting happened in the front parking lot of the high school at about 9:00p.m. When officers arrived, they found two adult men who had been shot in the stomach area. Brandon J. Adams, 18, was taken to Skyline Medical Center, where he succumbed to his injuries. According to police, Adams and a relative rode to the school in a Honda Civic to meet other individuals. Adams and his relative arrived first. The other vehicle pulled beside theirs. An occupant of the other vehicle got into the backseat of the Honda Adams was driving. A second occupant of the other vehicle got out and threatened Adams and his relative with a gun. As Adams sped off, the gunman began shooting, hitting Adams several times and crashed near McGavock Pike. His relative was treated for a graze wound and the Honda has been impounded and is being forensically processed. The person in the backseat was believed to have fled from the car just prior to or after the crash. The suspects are described as two young black men who wore hoodies and sweatpants. Anyone with information concerning the murder was asked to call Crime Stoppers at 615-742-7463. Callers to Crime Stoppers can remain anonymous and qualify for a cash reward. Metro Nashville Public Schools is currently out on fall break.